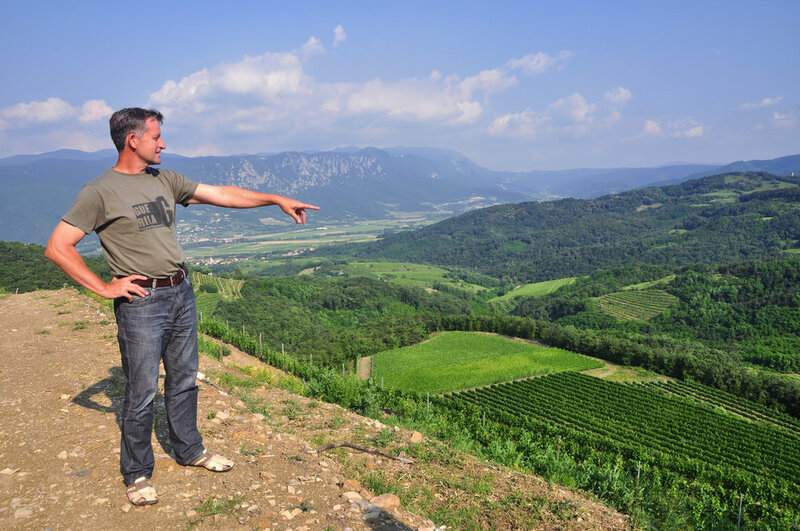 Located in the Planina-Vipava valley, between Mediterranean and Alpine climates, Zmago Petrič carries on the traditions of his family – a family with generations of history in wine making. 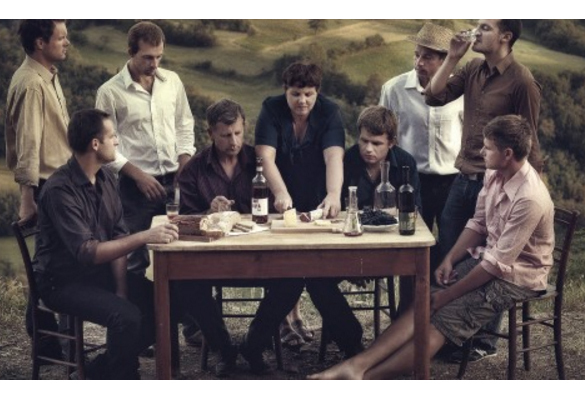 A proud winery covering 12 hectares, they take the local environment seriously: certified organic and biodynamic through Demeter, they treat the land like their own kid and grow predominantly indigenous varietals: zelen, pinela, and rebula along with some international varietals. By keeping crops small they they ensure the best expression of the varietals and the earth they come from. Coming from vines aging between 9-23 years old, planted on 2.5 hectares of marlstone, sandstone and breccias rich soils from the Pila vineyard, and manually harvested in mid-September, Guerila strictly adheres to the Demeter guidelines of treatment. The grapes spend four hours on skins with spontaneous fermentation in 2,000 liter steel tanks over 2-3 week; six months on lees with moderate bâtonnage in the first three months; aging occurs in steel for eight months with basic filtration. Hand-harvested and sorted in the vineyard, followed by four day maceration period and then spontaneous fermentation with indigenous yeasts. Mildly pressed with one year maturation in 1000L old wooden barrel on the lees without stirring. Bottled without filtration and minimal SO2. Matured in bottle for at least six months. Generally the varietal composition is 1/3 of each grape but can vary between vintages. Hand-harvested, followed by a short maceration period, pressing and decanting of must. Spontaneous fermentation with indigenous yeasts and matured on the lees. Second fermentation occurs in bottle with 36 months on lees. No additional liqueur added at disgorgement.